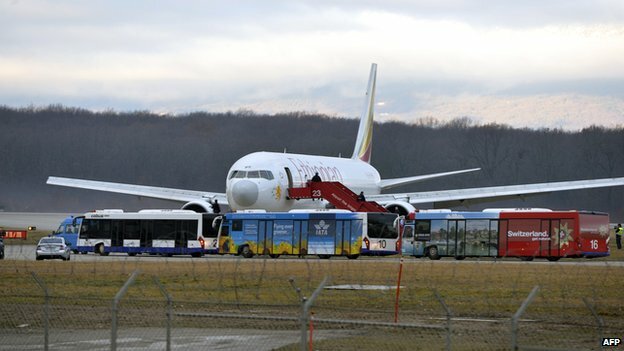 The co-pilot of an Ethiopian Airlines plane flying from Addis Ababa to Rome has hijacked the aircraft and landed in Geneva, Swiss police say. The hijacker – who has been arrested – waited for the pilot to go to the toilet to lock himself in the cockpit. He was unarmed. He has requested asylum in Switzerland. The airline said in a statement that all 202 passengers and crew were safe. Geneva airport, which was closed for a time, has now reopened. 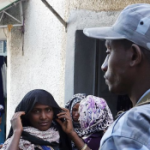 An Ethiopian man born in 1983, the co-pilot has sought asylum due to fear of persecution in Ethiopia, police said at a news conference. After locking himself in the cockpit, he asked to refuel at Geneva, landed the plane, climbed down from the cockpit window using a rope (available in the cockpit), and gave himself up to police. He was unarmed and there was no risk at any time to crew or passengers, police said. 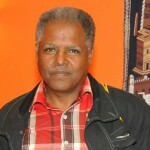 The situation inside the plane remained calm throughout. The co-pilot himself alerted the authorities to the plane’s hijacking, officials added – and passengers on the plane were unaware it had been hijacked. The only possible offence the co-pilot could be charged with is that of hostage-taking, for which he could face up to 20 years of imprisonment, a Geneva prosecutor said at the news conference. Flight 702 was scheduled to leave the Ethiopian capital, Addis Ababa, at 00:30 local time (21:30 GMT), and arrive in Rome at 04:40 local time. 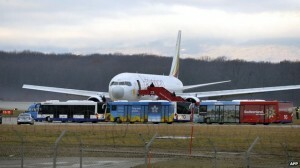 The Boeing 767-300 made an unscheduled landing in the Swiss city at 06:00. The evacuation of passengers began at about 07:25; they were all searched twice and have been questioned by police. The hijacking began over Italy, and two fighter jets – probably Italian – were scrambled to accompany the plane, Geneva airport chief executive Robert Deillon said at the news conference. The last hijacking to take place at Geneva airport was that of an Air Afrique plane in 1985. 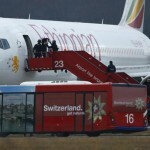 This incident is no doubt bad PR for Ethiopia Airlines, which has long prided itself as one of the continent’s best performing carriers, says BBC Addis Ababa correspondent Emmanuel Igunza. It reported $143m in operating profit in the last financial year. Other carriers recorded reduced profit margins or losses due to a combination of high fuel prices and the global economic recession, our correspondent adds. Posted by cybereth on Feb 17 2014. Filed under News, Views and Opinions. You can follow any responses to this entry through the RSS 2.0. Both comments and pings are currently closed.